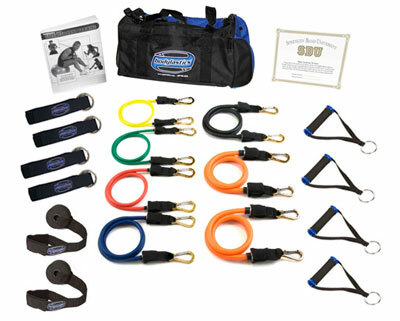 The Bodylastics Super Strong Man Edition comes complete with 7 continuous dipped elastics which create over 94 levels of resistance and up to 127 lbs of resistance per side. This entry was posted	on Thursday, July 11th, 2013 at 16:18	and is filed under Resistance Bands. You can follow any responses to this entry through the RSS 2.0 feed. Responses are currently closed, but you can trackback from your own site.